Young gun Jamie Kah brought up 100 South Australian winners in a season for the third time in her short, yet fantastic career. Sea Sabre - An Off The Track Success Story! Ex-galloper 'Sea Sabre' has forged a magnificent career off the racetrack and in the equestrian field. Just another success story for our horses off the track! Fifty-six race veteran, In Taipei returns to Hawker to defend his crown this Saturday in the Clare Valley Toyota Hawker Cup. This year’s UBET Festival of Racing was the biggest and best yet and we look back at the top five moments of the three magnificent Saturday’s at Morphettville! The UBET Adelaide Racing Carnival has come to a close for another year and this year's edition was one of the best in recent history. We look at all the winners over the six weekends. Five locally trained sprinters will be looking to cause an upset in the Group 1 Goodwood and be the first to claim the trophy since 2002. We talk to the local trainers hoping to bring down Bart. Can Bart go Back to Back? A win in last year's Group 1 Darley Goodwood was the turning point in Black Heart Bart's career. Can he make it back to back wins and achieve something that hasn't been done in over 100 years? It's set to be a 'Super Saturday' of racing this weekend with seven black-type races on the card to finish the UBET Adelaide Festival of Racing. 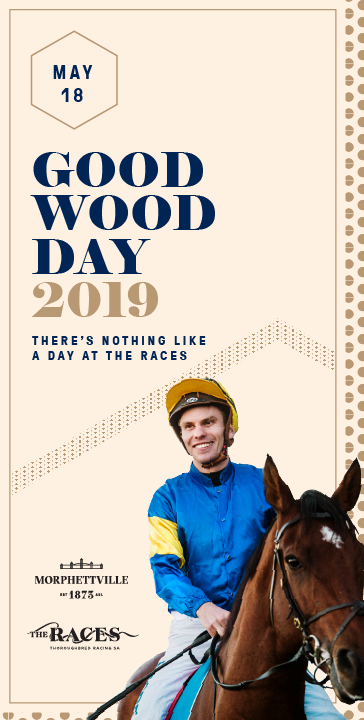 The final field for Saturday's $1 Million Group 1 Darley Goodwood was released this morning and a sensational line-up has assembled for South Australia's finest race. With quality fields throughout the card and six of the eight races having capacity fields, there should be plenty of value for punters on UBET SA Derby Day! Will Another Favourite Claim the UBET SA Derby? Matthew Ellerton & Simon Zahra will be hoping that the UBET South Australian Derby will continue to be happy hunting ground for favourites as their gelding Odeon has been installed as the $3.80 favourite for Saturday's Group 1. A sensational day of racing at Morphettville saw one of the great finishes to a Group 1 Schweppes Oaks and a magnificent run from Secret Agenda to win the state's first $1 Million race! Flying Fillies - Who's the one to catch? The man of the moment Daren Weir has the hot favourite Kenedna in the Schweppes Oaks but there will be plenty of other fillies who think they are a huge chance to claim Group 1 glory on Saturday! Having a jockey of Joao Moreira’s calibre at the UBET Adelaide Festival of Racing is huge coup for the carnival and racing in our state. But it’s also a massive thrill for the trainers and owners of some of our local hopes across the card. Hong Kong based jockey Joao Moreira touched down in Adelaide this afternoon ahead of Schweppes Oaks Day at Morphettville tomorrow. Adelaide is getting swept up in ‘Magic Man Fever’ and Joao Moreira is heading to South Australia in great form. We look at each of his rides on Saturday. 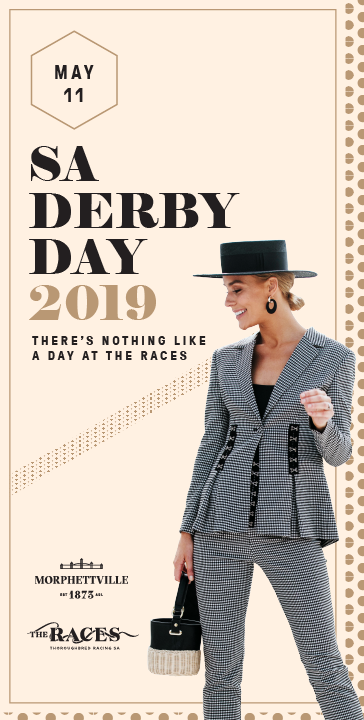 South Australia’s Festival of Racing carnival – featuring the first ever $1m races in the State’s history – has attracted a stellar field of contenders, with a number of high-profile trainers, jockeys and horses confirmed today. A sensational field has assembled for Saturday's $ 1Million Group One UBET Classic with the Gai Waterhouse trained English the early $5 favourite with UBET. Who looked good on Saturday and who is likely to improve over the next three weeks during the Adelaide Festival of Racing?